At first, fill in the information fields of the BK entry date, Reference document issue date and description of the stock entry. On the right side of this window, fill in the debit fields and the credit fields with the stockroom and sections. When receiving new inventory (not from other stockroom), fill in the credit side fields only. Unknown Move stock between stockrooms or any activity that does not require any entry. Delivery Note remove an item from the stock room and deliver it to the client. Tax Invoice remove an item from the stock room and deliver it to the client. Credit Invoice Add an item from the client back to the stock room. 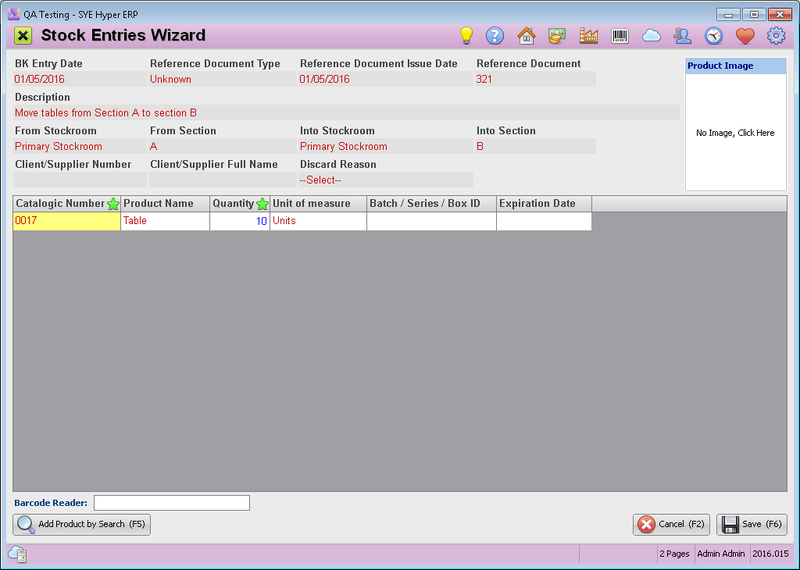 Importation Log Add an item that was received from the supplier, to the stock room. Supplier Delivery Note Add an item that was received from the supplier, to the stock room. Supplier Invoice Add an item that was received from the supplier, to the stock room. Production Order Internal action of the organization. Add items to the stock room. Discard Remove item from the stock room due to defect / wear of the item etc. Return to Supplier Remove an item from the stock room and return to the supplier. Return of Goods Add a returned item back to the stock room. Press the Continue (F6) button to approve the details and continue. 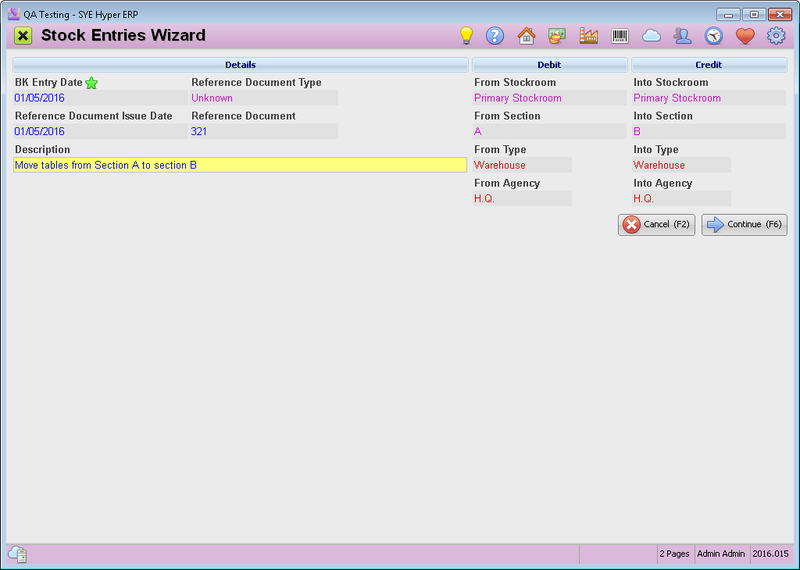 Press the Cancel (F2) button to cancel the stock entry report. In this step, before producing the "Transfer of Goods" document, fill in the products of the Stock Entry. By using the Add Product by Search button, select the required products for the stock entry. After choosing the products, fill in the quantity field for each product and press the Save (F6) button to produce the "Transfer of Goods" document. A preview of the "Transfer of Goods" document will be displayed, which allows to Print / Send by Email / Export a PDF of the document.